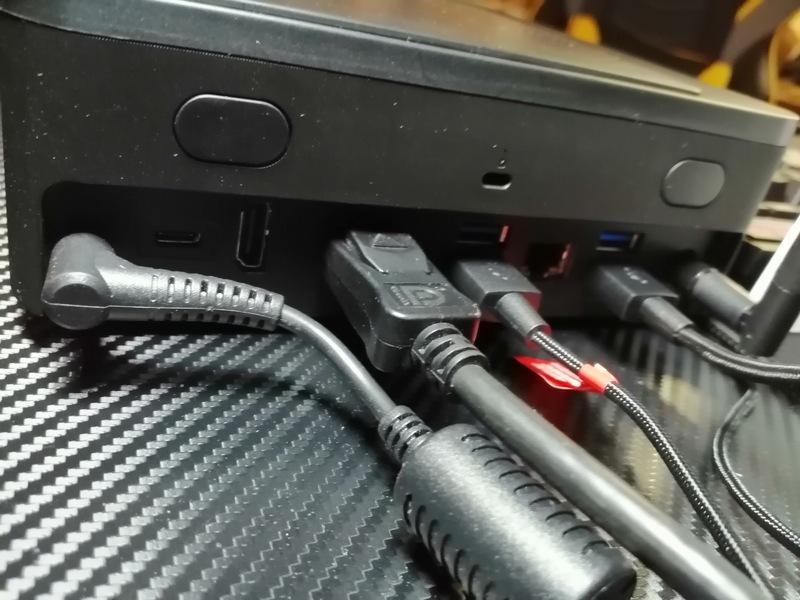 With the advent of streaming video games online being a core market for computer hardware manufacturers, a new initiative was announced at TwitchCon 2018 to develop smaller form factor PCs to function as the streaming hardware, alleviating some of the workload for large gaming machines. 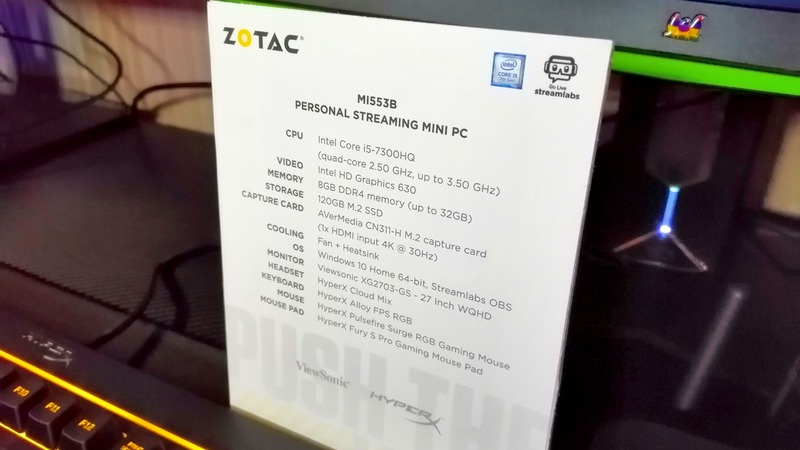 One of the first models was on display at Zotac’s CES Booth, with the MI553B featuring a mobile processor and a built-in capture card. 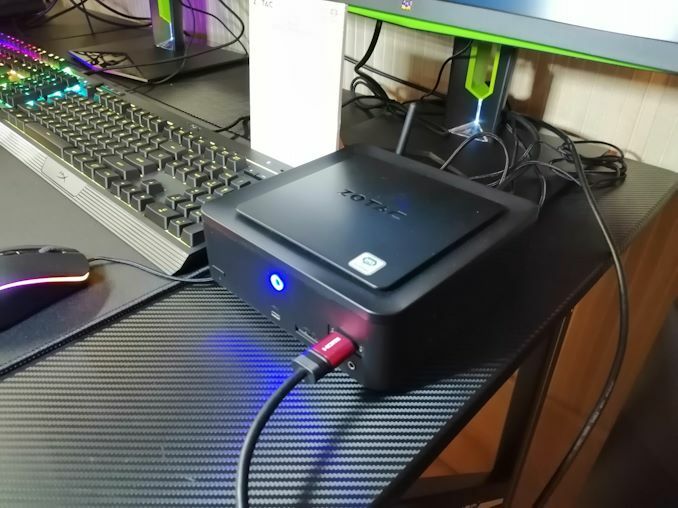 The system doesn’t look too flash if I’m honest, although Zotac said they were going through the stages of the design to make sure it’s sufficiently quiet. But the goal is to make sure the system is out of the way and just works, so it comes pre-loaded with all the relevant software from AVerMedia and Steamlabs' fork of OBS (which is like OBS, but built up from a standard code base by a different company to OBS). Inside is a Core i5-7300HQ, a quad core 45W mobile chip with a base frequency of 2.50 GHz and a turbo frequency of 3.30 GHz. 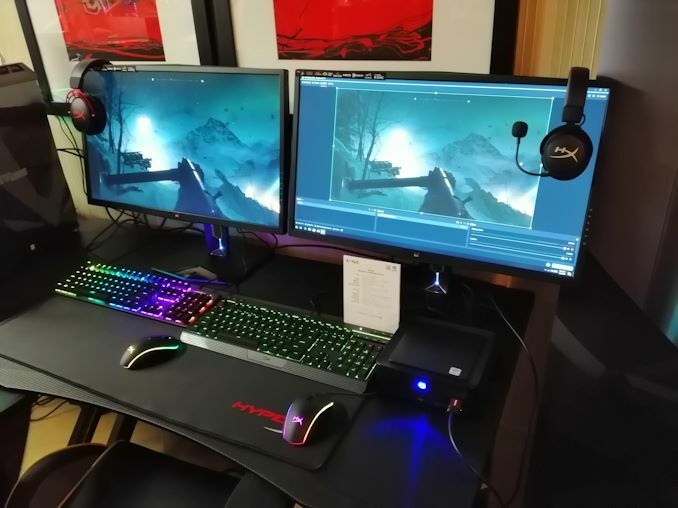 It uses the integrated graphics of the chip for display, but has a HDMI 4K30 input from the AVerMedia CN311-H M.2 capture card in order to manage the output of the gaming PC. Zotac might sell this unit as a barebones, however the configuration they had was with 8 GB of DDR4 memory and a 120GB M.2 SSD. 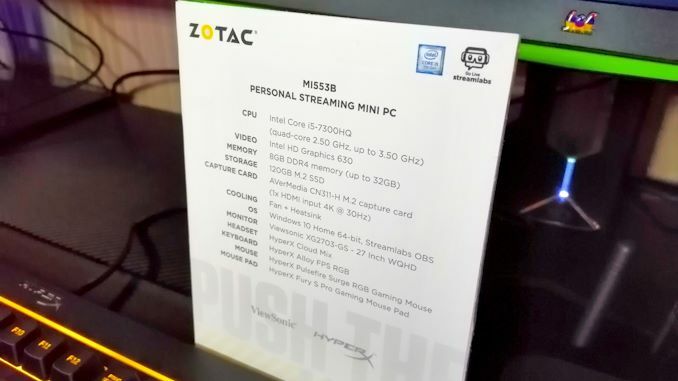 Zotac did ask us if using a 4K60 capture card would be preferable for this market, although they did note that AVerMedia’s 4K60 card is a significant price step above the 4K30 card. Any opinions on this in the comments will be passed on to Zotac. As for this unit, Zotac said that pricing was still being decided, along with the design, although they hope to have it on market in early Q2. I'm assuming the point of this box is to pair it with a separate gaming PC running a dGPU, in which case this whole other PC just captures the video, encodes, and streams. Is a 2nd PC really necessary given the capabilities of QuickSync and other hardware encoders? My skylake i5 is able to transcode bluerays at 1080p at >60fps by using QSV, but the CPU usage is still pretty high 70-90% so that doesn't leave much for playing a game. I would think it makes more sense to buy a suitably powerful gaming PC with enough CPU cores to also handle streaming at the same time. There is still an impact on performance. It's generally low, but it's there. A separate box has other advantages aside from just performance though. For one, it's input agnostic. Want to stream a console game today? Move a few cords around and go for it. Another advantage is stability. Games can be buggy and GPU drivers have great power to crash systems. For a streamer trying to make money having the stream go dead because a game crashed the GPU hard is not a good thing. External capture keeps the stream live, showing the crash and your reaction.